Grilling season is coming to an end for many in the state of Wisconsin. I think this is officially the last day of summer, and as much as that pleases me (I love fall in Wisconsin), it disappoints me as well. I mean winter is coming, and that can get pretty long here in our state. With that said, my grill continues to heat up all year round, but for those that tuck them away until spring time, I figured I would give you my simple burger sauce recipe. 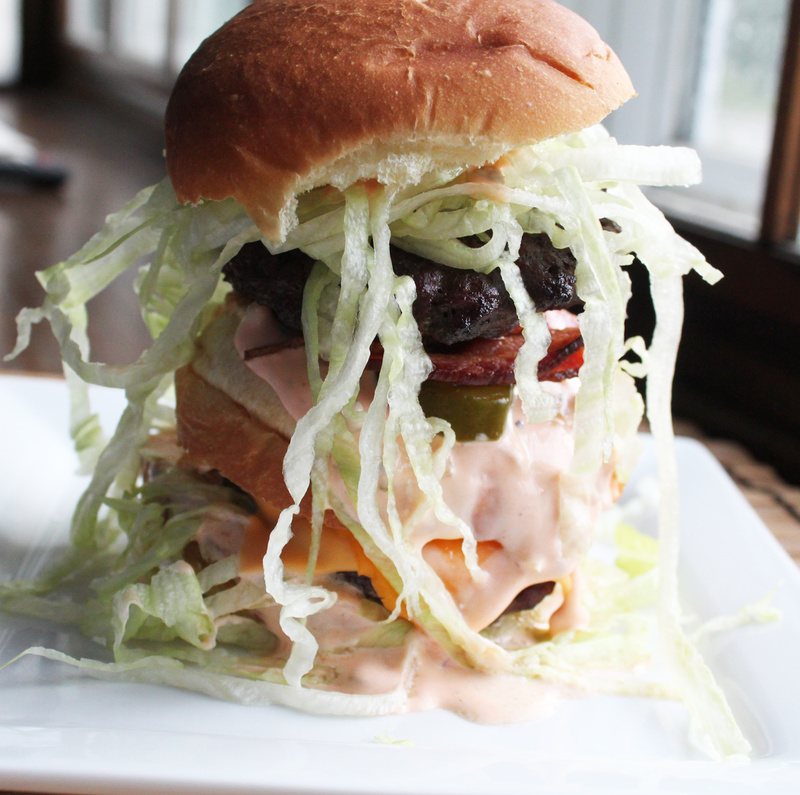 Think of it as the ‘Big Mac’ sauce in a way, and one that really brings a great grilled burger together. Yes, I ate that, well most of it. That’s it. Pretty much things most folks might have in their refrigerator. 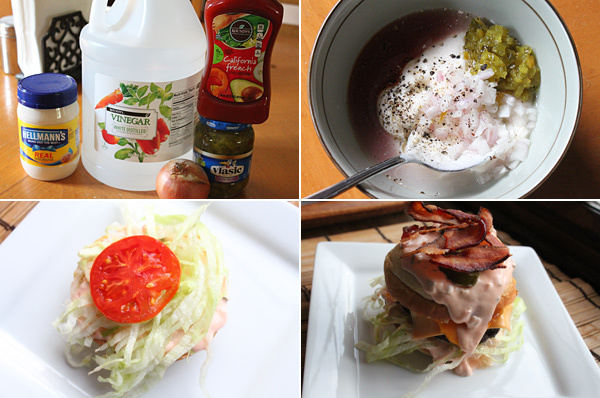 As I love a burger with just mayonnaise and pickles, I figured I would step it up and mix these together to give a sweet, tangy, and creamy sauce. This one totally delivers. Place all of the ingredients in a small mixing bowl, and whisk until thoroughly combined. When your burger is done grilling, slather it on the top, and bottom buns and enjoy. This one was stacked with a sauced bottom bun, lettuce, burger, pickles, onions, more sauce, another sliced bun, cheese, burger, bacon, tomato, more lettuce, sauce, and top bun. IT WAS A DOOZY. If you are looking for a great sauce, not only for a burger, but along the lines of a great club sandwich, give this one a shot. It only gets better after a couple of days stored in the refrigerator as well. Hope you enjoy!